BSP president Mayawati Wednesday denounced the Noida administration’s “improper and arbitrary” order on Friday namaaz, saying such a policy, if any, should be implemented in all districts and on people from all religions. 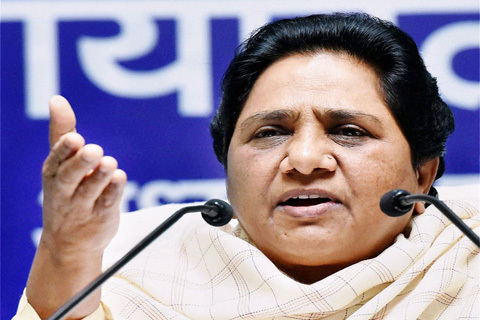 “The order regarding prior approval for offering Friday namaaz at public parks and warning of strict action on firms whose employees are found flouting is improper and arbitrary,” the Bahujan Samaj Party (BSP) chief said in a release here. However, the former Uttar Pradesh chief minister claimed that if prayers were being offered in the park since 2013, what was the logic behind banning them ahead of the 2019 Lok Sabha elections. It only highlights the frustration of the Bharatiya Janata Party (BJP) leaders following their defeat in the resent Assembly elections, she said further. According to the complaint, despite the district magistrate rejecting the companies’ plea seeking permission to offer prayers at the ground, the employees were breaching the order. However, District Magistrate Brajesh Narain Singh Tuesday clarified that no companies would be held responsible for their employees’ personal activities, as was mentioned in the police notes and that Rai was only carrying out his responsibilities.